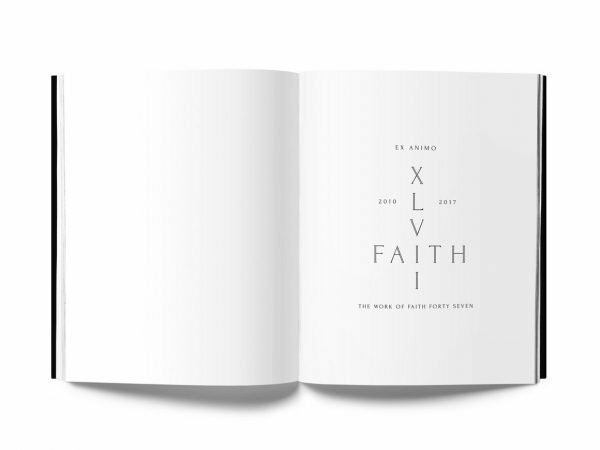 Drago is proud to present Faith XLVII’ latest book ‘Ex Animo’, also available with a signed limited-edition print, ‘Three Methods for Working With Chaos’. 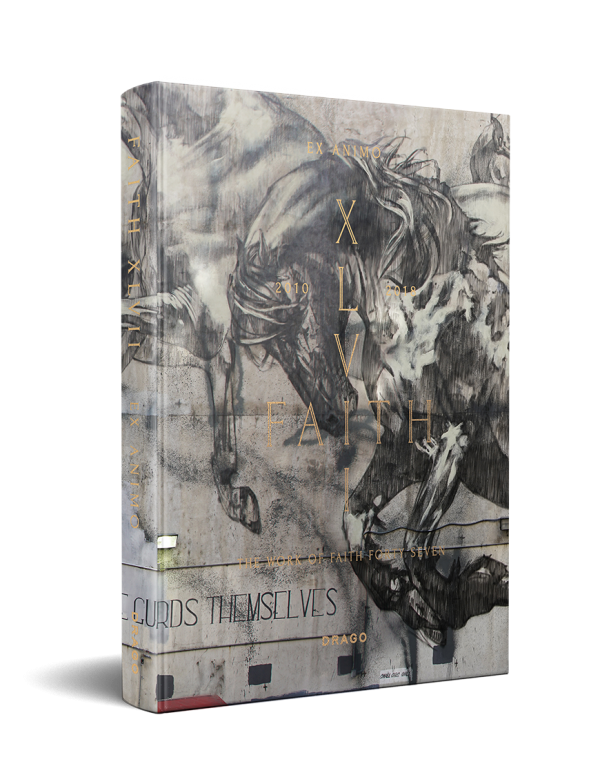 Launched at London’s Moniker Art Fair on October 6th, this beautifully bound book is the most comprehensive collection of Faith XLVII’s work so far. 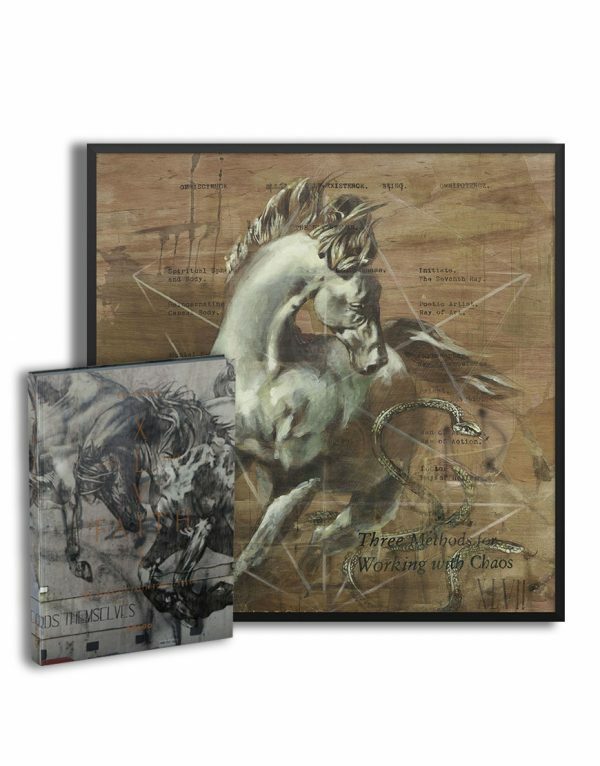 The monograph is a stunning presentation of the artist’s greatest projects from The Psychic Power of Animals, in which Faith represents in full scale the strength and power of alpha animals, to The Long Wait, a series of political murals representing Johannesburg men waiting. 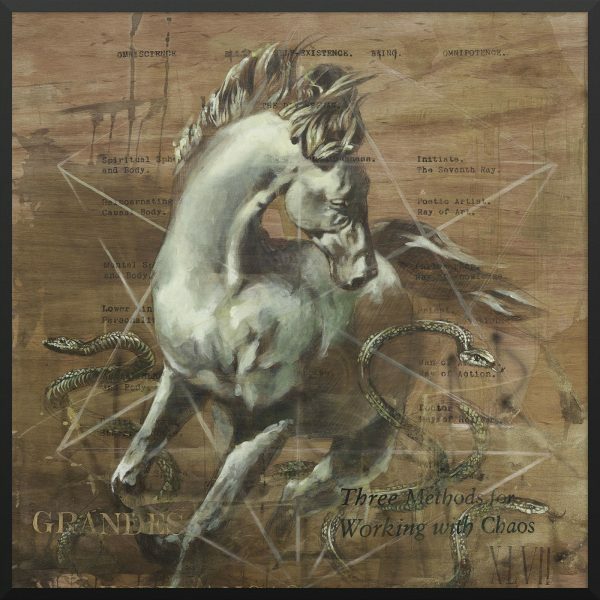 Faith XLVII is an internationally lauded South African artist, currently based in Los Angeles. 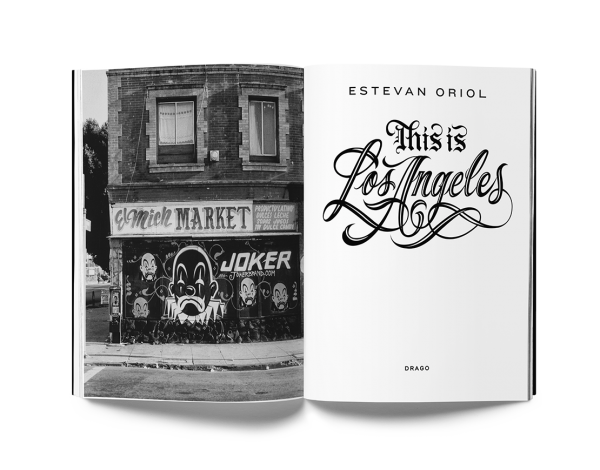 The book takes the reader on a visually stunning journey from her most famous street art works to her gallery installation pieces. From China to Australia, Norway to India, Ex Animo presents arresting images of Faith’s most prolific period, 2010 – 2018. The book features critical texts by Carlo McCormick (famous critic and curator from New York) and Jaqueline Flint, who both write elegantly about how Faith “brings forth the unmistakable within the unexplainable”. Ex Animo also features a piece by Kristin Farr (Deputy Editor, Juxtapoz Magazine) which centres on the new feminist streak within Faith’s work, discussing the “mysticism and intuition that women are often forced to repress.” Farr also traces the influence of Japanese novelist Haruki Murakami on Faith’s aesthetic attitude. 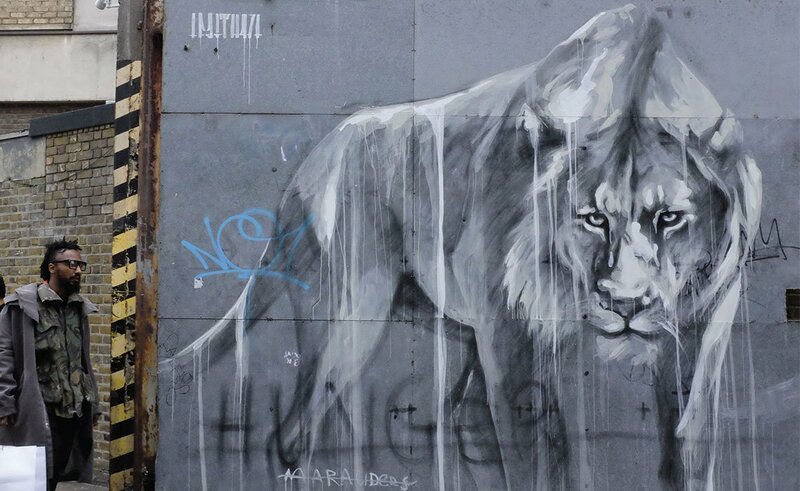 The natural world is never far from Faith’s mind, and ‘The Psychic Power of Animals’ displays impressive street murals from all over the world; the portraits of animals, which seem almost like water colours on concrete, contrast the elegance of the natural world against harsh urban architecture. Faith notes the irony of recreating nature on cement, and uses her vast animal murals to draw attention to a wide range of political issues, such as migration and plastic pollution. Political issues are also foregrounded in ‘Who Guards the Guards?’ a rumination on the concept of power, and in several other works in Faith’s homeland South Africa, which create a conversation about injustice and the disenfranchised. Glimpses into Faith’s literary influences are also provided; an extracts from Native American Gerard Vizenor is quoted alongside her ‘landfill meditation’ pieces, and the influence of Nigerian writer Wole Soyinka is also explained. 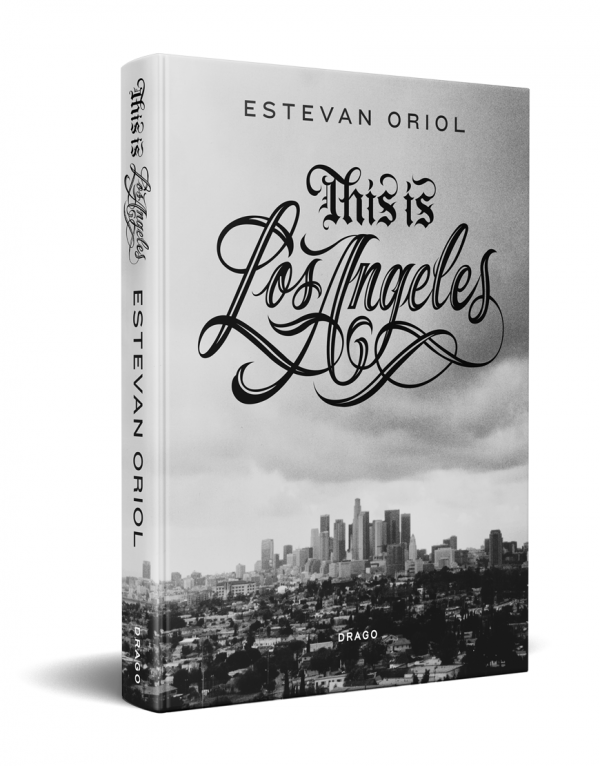 Ex Animo, and its Limited Edition Print (only a few signed copies are still available), offers an outstanding compilation of work. 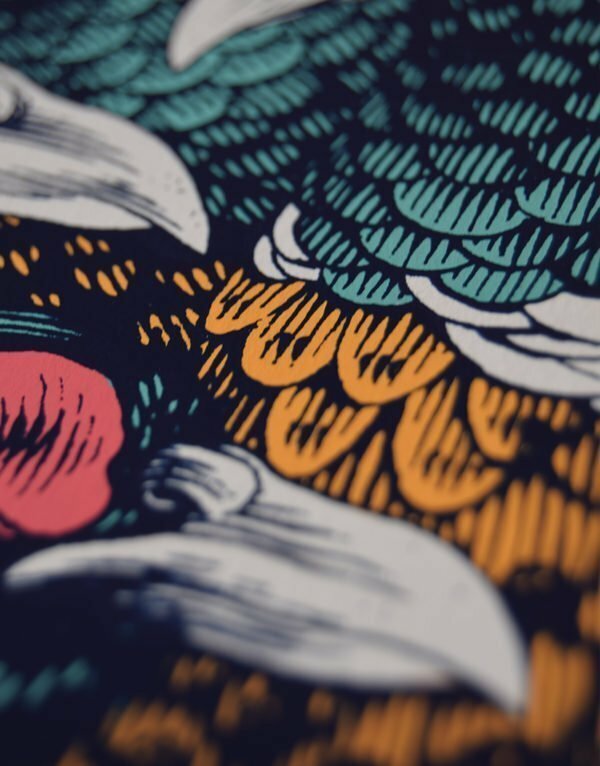 From accomplished street art to installation work such as Acqua Regalia, Ex Animo is a rich and varied book. 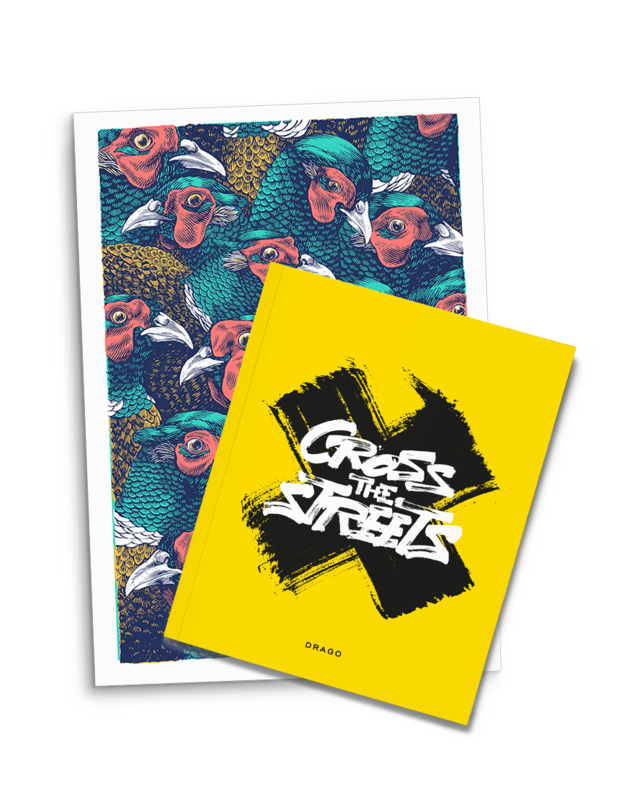 It is a unique opportunity to explore the new and experimental direction Faith’s work is taking, as well as experience the fascinating urban murals of one of the most celebrated female street artists in the world.